Is Your Community Bank Hedging Your Risk? 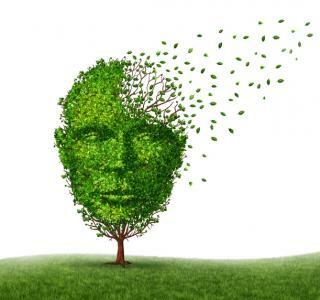 As people age they begin to worry about things such as dementia. After all, Alzheimers is the 56th leading cause of death in the US. Early detection is critical, which is why the findings of University of Chicago researchers are so interesting. They report a simple test smelling 5 different odors of peppermint, fish, orange, rose and leather may help. It seems about 80% of people who only detected 1-2 scents in the research were diagnosed with dementia when tested 5Ys later. When it comes to banking, there is also plenty of research going on - perhaps not as earth shattering as identifying dementia in the early stages, but interesting nonetheless. In its latest quarterly report, FDIC research finds community banks are doing well. That does not mean the FDIC doesn't have concerns though. Sure, net interest income climbed by 9%, as loan and lease balances increased 8% overall. Annual loan growth is still at or above GDP growth though, so that has the FDIC a bit more concerned. That is because community banks are especially susceptible to economic downturns. Given that over 50% of assets for this group carry a longer than 3Y maturity, the FDIC is concerned interest rate risks could be rising so banks are warned to carefully monitor and manage this risk. There are some moves you can make to sustain growth without compromising a prudent risk profile. First, make sure that your credit risk process is firmly followed. Clearly, credit risk should not be compromised so late in the recovery cycle. Use multiple sources to get a fuller credit picture of customers if possible. Next, be sure all employees are up-to-speed on policies and procedures. Finally, have a strong approach to your ALLL. This will be increasingly important of course with the advent of CECL, so make sure you start asking the necessary questions now to incorporate any updates and process improvements. Next, closely watch liquidity risk, as depositors have greater mobility these days. Keep your current customers happy as you move to lock them in with cross sell and longer terms (where prudent). This makes moving undesirable for them. Then, bring in new customers for a greater pool of deposits, while still keeping your spread as wide as possible. This may be easier said than done, but coupling nurtured relationships with creative promotions can go a long way to attract new customers. You may also want to look at interest rate risk in your existing loan portfolio. If you have a large portion of longer-term assets like many community banks, you should consider options to hedge it. Transforming fixed rate loans for customers to floating rate ones for your bank is easier than you think (call us and we will show you how). Keep in mind that with longer term fixed rate loans, debt service is stabilized for customers in rising rate environments, which keeps credit from deteriorating. Longer term liabilities may also be considered with respect to interest rate risk. Particularly with Trust Preferred Securities (TRuPS), many banks saw their rates float lower following the 2008 recession. Given the current low rate environment, there is still time to consider swapping your floating rate TRuPS to a fixed rate profile. Maintaining a healthy risk profile is important for continued success. It is an ongoing process that should be re-evaluated as economic factors or customer behaviors change. To get help with hedging to help shore up your portfolio risk profile, feel free to contact us for more information. Yields inched down 1bp as investors anxiously awaited more news on the Fed Chair position. 1) First Bank ($1.2B, NJ) will acquire Delanco FSB ($126mm, NJ) for about $13.5mm in stock (100%) or about 0.99x tangible book. A TD survey of small businesses with <$1mm in annual revenue finds 11% amazingly don't know how to seek credit when they are ready. Fed Governor Powell indicates banks need to continue to play a key role in the payments system in order to ensure the design and safety of more efficient payment systems in the future continues to benefit consumers. Hackett Group research finds technology has come so far that 67% of large global companies now expect to automate some or most of their finance department tasks over the next 2 to 3Ys. Technology is now available that can search for missing payment information, send reminders, cut error rates by 66%, reduce data collection costs by 24% and cut labor and outsourcing costs by 20% to 35%. PwC cybersecurity research finds 44% of executives surveyed say their company does not have an overall information security strategy. A survey of millennials by Bank of the West finds 56% of those ages 28 to 34 own their home vs. 27% of those ages 21 to 27 (for a total of 43% overall). Meanwhile, 41% rent, 15% live with parents or family and 1% live with friends. A triennial survey by the Fed finds that from 2013 to 2016 family incomes climbed, reversing the trend from 2010 to 2013. Fed research finds 24% of adults are not able to pay all of their current month's bills in full.